Great news for fans of horror icon Jason Voorhees! Word around the campfire is we are going to see another installment of the Friday the 13th franchise by the middle of next year... and to top things off, the upcoming sequel will try to answer the burning question of why Vorhees cannot be killed. There's a legend around here. A killer buried, but NOT dead. A curse on Crystal Lake, a death curse. Jason Voorhees' curse. They say he died as a boy, but he keeps coming back. Few have seen him and lived. Some have even tried to stop him. NO ONE can. I have pretty much written of his supernatural immortality as a sign of his horror monster status... which of course means I've excepted long ago that studios are going to want to continue making installments of the franchise for as long as remains possible. That said, I'll be interested to see how they come to reveal his everlasting life. How will they explain it without creating one giant unanimous audience sigh is anybody's guess, but for the sake of the legacy, I'd be thrilled if they pulled it off. 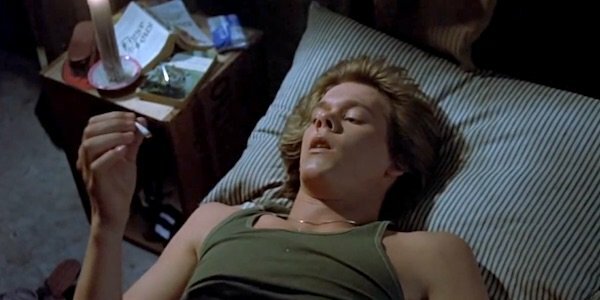 I'd also be thrilled if they found a way to justify Kevin Bacon's immortality, thus reviving from the dead his character Jack from the original 1980 classic. The next installment of Friday the 13th will be directed by David Bruckner (V/H/S). The last draft of the script was written by Richard Naing and Ian Goldberg with the latest to be written by Nick Antosca (Hannibal, Believe). The sequel will be produced by Michael Bay, Andrew Form and Brad Fuller under Bay's Platinum Dunes—the co. behind the 2009 installment, which earned almost $100 million worldwide. Friday the 13th, which has already seen some delays, is expected to hit theaters May 13, 2016.